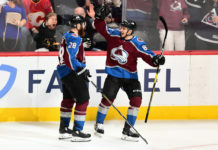 The Colorado Avalanche have officially been eliminated from the playoffs after a loss Tuesday night in Nashville and the wound is still fresh. 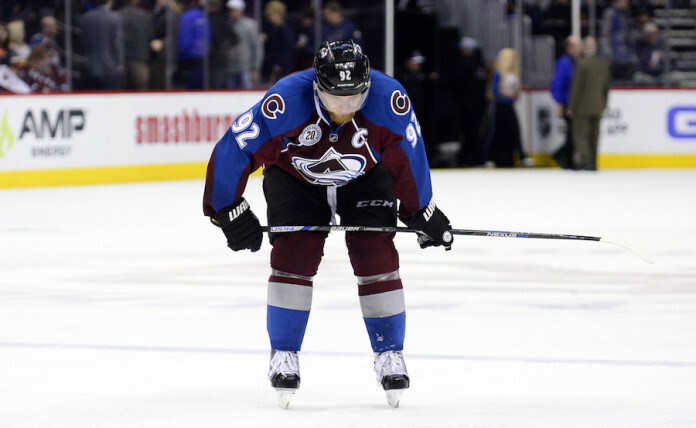 Finding positive aspects from Colorado’s performance to build off of during the offseason will be essential as the team hopes to progress, but Avs captain Gabriel Landeskog is still not ready to contemplate what positive areas there might be. The disappointment of being eliminated from Stanley Cup contention is noticeable throughout the Avs dressing room. It is clear the competitive fire in each of the athletes has made their current situation difficult for them to swallow. Of course the frustration is difficult to avoid when considering the anticlimactic ending to the Avalanche season. It’s hard to be optimistic when Colorado’s record at home is good for 25th in the NHL currently. It’s hard to be optimistic when looking at the 13-12-2 record against the Central Division after starting the season 12-3-1 against that same group of teams. 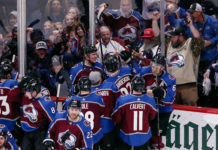 However, in order to move forward into next season, it is important for the Avalanche to find the positives and use them to continue their progress through “the process” that is constantly referenced. 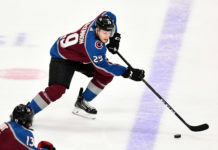 Perhaps it is still too early for the 23-year-old captain to assess the season and find the positivity within, but once the bitterness and disappointment subsides, the Avalanche will find that they have some things, however few and far between, to be proud of and will have to use them to continue building for the future. The Avalanche will faceoff against the Dallas Stars this evening at 6:30 p.m. MST. They will then wrap up their season Saturday afternoon against the Pacific Division leaders, the Anaheim Ducks.